Despite concerns about requiring in-person registration for mobile sports betting from senators and industry representatives, Rhode Island’s Special Legislation & Veterans Affairs Committee voted unanimously on Wednesday to send a mobile sports betting bill to the full Senate for a vote. The bill, S 37, was brought by Senate President Dominick Ruggerio (D-District 4) and is identical to a House bill brought by Speaker Nicholas Mattiello (D-District 15), which is set for a hearing on Thursday. Ruggerio’s bill will now go before the full Senate for a vote, likely next week. Ruggerio’s bill would legalize mobile sports betting statewide, but would require in-person registration for an account, akin to Nevada but bucking the recent trend in New Jersey, Pennsylvania and West Virginia, where patrons may register remotely. And the bill calls for the same taxation structure for online revenue as in brick-and-mortar sportsbooks, an issue that also raised questions at the hearing. 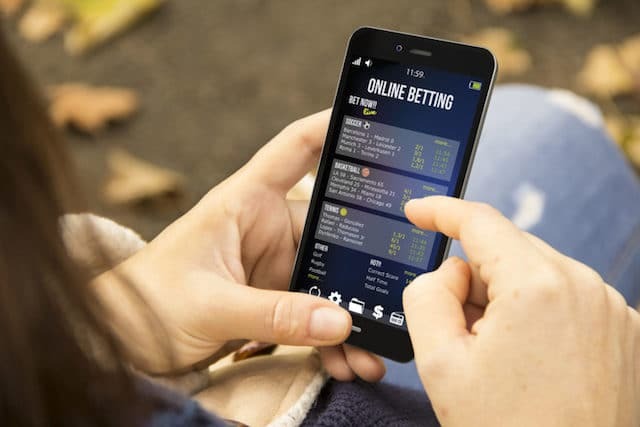 The bill requires mobile operators to be tied to either the Twin River or Tiverton casino, and no stand-alone mobile/online sportsbooks would be allowed. With regard to in-person registration, multiple senators suggested it would deter potential bettors from registering. 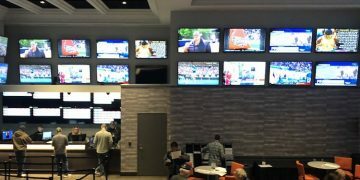 Rhode Island is the only New England state that currently has legal sports betting, and lawmakers fear that forcing people to register in person is, essentially, enough of an inconvenience that Rhode Islanders not near the state’s casinos and those from neighboring states that would drive over the border to place a mobile bet, would turn instead to offshore betting options. DraftKings Director of Governmental Affairs Sarah Koch backed up lawmakers’ concerns. Koch also pointed out that the bill’s requirements that bettors can only cash out big wins in person and that bettors must pay a transaction fee for moving money in their own electronic sportsbook accounts are additional roadblocks. DraftKings currently runs mobile/online sportbooks in New Jersey. Craig Eaton, Senior Vice President, General Counsel and Secretary for the Twin River Management Group, which operates and owns both Rhode Island casinos, testified in the support of the bill, but offered a counterpoint to the in-person registration concerns. Another key topic is Rhode Island’s sports betting tax structure. 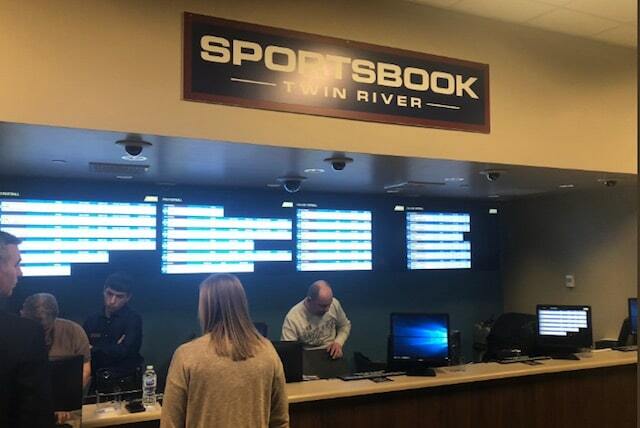 Sports betting is regulated by the state lottery through a “partnership” with gaming companies, and for brick-and-mortar sportsbooks, revenue is divided 51 percent to the state, 32 percent to the sportsbook operator, and 17 percent to the host casino. S 37 calls for the same tax structure, but if Wednesday’s conversation was any kind of indicator, lawmakers may revisit the issue. Lawmakers asked several questions of Ruggerio and witnesses about the revenue split, as well. Among the other issues discussed by the committee was whether or not the state should contract with current vendor IGT for online sports betting or open the process to bids. The language in the bill ultimately leaves this, and many other critical decisions, to the lottery, but lawmakers were clearly interested in exploring the RFP process, in order to get the best deal and fit. Senator Louis DiPalma (D-District 12) suggested that the state could begin crafting an RFP as legislation makes its way through the general assembly so the state would be prepared to move immediately. A lottery representative told the committee an RFP had not been started, but could be. Not surprisingly, DraftKings’ Koch spoke in favor of the bid process — her company may well be one that bids to run Rhode Island online sports betting. Should the Senate and House bills pass, the new law would take effect as soon it is passed. In Rhode Island, after the Senate passes a bill, it must go through the legislative process in the House, and vice versa. Once both chambers have passed the bill, it would go to Democratic Governor Gina Raimondo for her signature. Given that Raimondo enthusiastically backed sports betting at bricks-and-mortar locations, her signature should be a given. Rhode Island’s general assembly meets throughout the year, so unlike in some states with short sessions, there should be plenty of time for these bills to work their way through the process before the end of the year. That said, lawmakers would like to see mobile sports betting legalized sooner than later, so that it is up and running in time for the football season. Lottery officials testified that it would take about six months from securing an operator contract to launch. Rhode Island launched its two sportsbooks in late November and early December, about five months after legalizing sports betting. There are bills pending in every other New England state, and in New Hampshire, lawmakers will hold their first hearing on a bill that would legalize sports betting, including state-wide mobile, on Thursday. Massachusetts lawmakers introduced a bevy of bills last month that would allow state-wide mobile sports betting.